Here’s a fresh video Night Rider BMX Shop put together from a session a bunch of the locals and some of the BSD crew caught at a park in Tel Aviv, Israel. Hit play to check out some of the highlights from the session. No shortage of grinds in this one! BSD coming in hot with some fresh Liam Zingbergs footage from his recent time out in California! 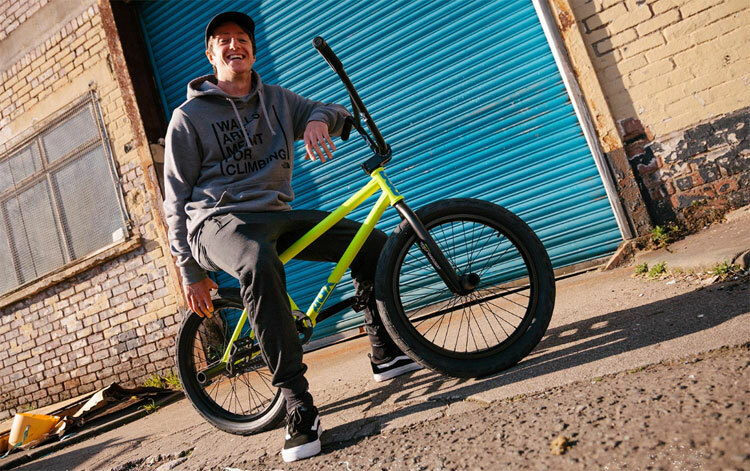 Despite not having the best of luck with finding spots that he could ride without getting busted, it looks like he had plenty of success stacking clips! Hit play and check out all the heat! So good! “California may be the dream location for many riders but the reality of making a video there means dealing with private property, cops and security on the regular. Guest clips from Denim Cox, Reed Stark and Jeff Cadger. Is it time for a new BMX Sprocket? Here’s a look at the new TBT Sprocket that BSD have just released. This sprocket is made from fully CNC machined, 7075-T6 aluminum with an 8mm thickness at the edges that tapers down to 6mm at the center to save weight. It has a classic throwback look with the 4 spoke design with pretty simple details making for a rad looking sprocket. The TBT sprocket has a 24mm bore and comes with 19mm and 22mm adaptors, so it will fit all bolt on cranks, comes in 25 and 28-tooth sizes, colors of Black and Polished and a weight of 2.47 oz. (25t). You can pick this sprocket up for $44.99 through BMX shops and mail-orders that carry BSD worldwide and online now! Available in Black and Polished with 25-tooth and 28-tooth sizes. 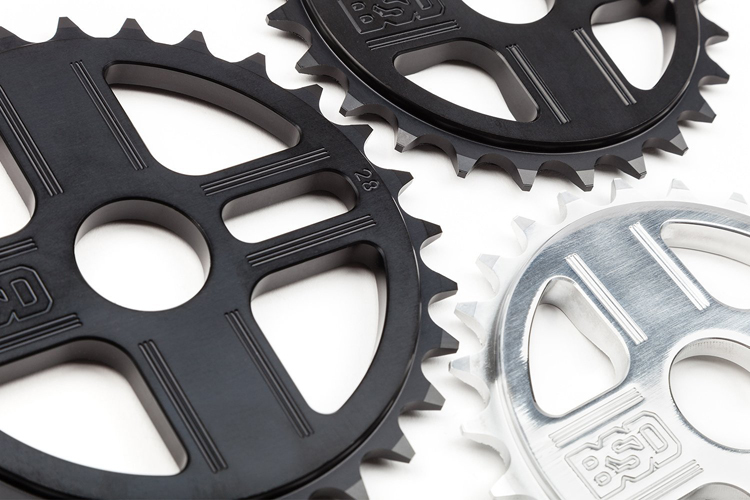 What do you think of the new BSD TBT sprocket? Are you digging the old school look? Do you have any questions? Let us know in the comments below! It’s pretty wild to think about all the footage that has probably been stolen over the years by thieves taking camera gear. Luc Legrand was one of those unlucky people recently, but he fortunately was able to recover most of the clips since he just so happened to upload and transfer a bunch of it before that unfortunate situation. Here’s a bunch of Luc Legrand clips, along with some bonus Reed Stark gold for BSD. AS always, Luc has an eye for amazing spots and knows all about style and speed! Take a look! “Footage of BSD​’s Luc Legrand is always something to take notice of, especially as is doesn’t come around too often. And when you bring dealing with stolen clips into the equation, this video is grade-A Luc Legrand gold dust. We’re always stoked to see Jack Nieraeth‘s name pop up! Here’s a fresh one for BSD where he clocked some miles and stacked a ton of dialed clips. Jack brings the grinds, big manuals and more to everything he touches, and he definitely finds some untapped spots that’ll get your blood flowin’. Take a look! 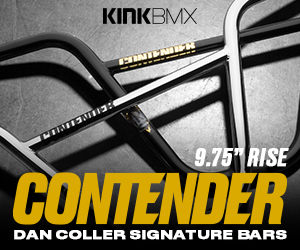 “2 pegs, long hair and some high speed street action!! Jack Nieraeth destroys big rails and ledges on the streets of Belgium, Holland and Barcelona. Filmed by Frank Nabuurs, Stijn Hens, Emile Bouwman, Patrick Bolder, Joram van Dijk, Sybren Planting and Don Wiegel.